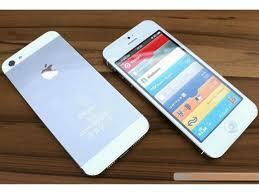 Early success for the iPhone 5 smartphone has helped Apple to overtake Google's Android software in the United States, research firm Kantar WorldPanel said on Tuesday. Apple's US market share in the 12 weeks to October 31 more than doubled from a year ago to 48.1 per cent, putting it within reach of the record 49.3 per cent it managed in early 2012. Android's share dropped to 46.7 per cent from 63.3 per cent, Kantar WorldPanel's data showed, but it continues to dominate in key European markets. The platform 74 per cent market share in Germany and 82 per cent in Spain. Its combined share of the top five European markets rose to 64 per cent, from 51 per cent a year earlier, while Apple's share edged up by one percentage point to 21 per cent.